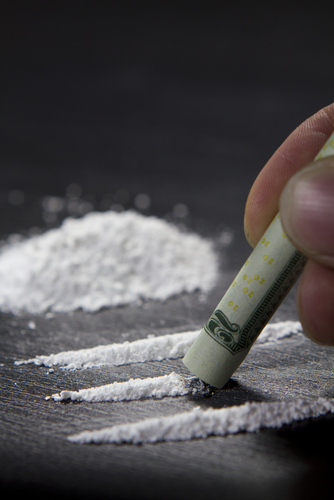 Illegal Drug Survey Says Cocaine Use Declining…Or is it? Today’s most prominent problem is drugs. Drug usage is increasing throughout the world, especially in America, Britain, and Australia. The United States witnessed a boom in the pharmaceutical fraud (doctor shopping, fake prescriptions, etc.) at the turn of the century. Over prescribing drugs has led to a nation that has more than half of their citizens on drugs for one condition or another. Many of the illicit drugs that receive so much attention are contained in the ADHD medication people give to their children. Is drug usage continuing to rise in America? A new report says that one drug specifically is on the rise. It has been around the country for decades and was even legalized for recreational use in a couple states recently. Marijuana, according to the report, has once again recorded alarming statistics. Between 2006 and 2010, experts saw a 30 percent increase in usage. The drug that used to be the caviar of drug users, cocaine, has seen a 50 percent decrease in usage. Cocaine is a psychoactive drug, much like other common illicit drugs like methamphetamine and heroin. It reacts with the chemicals in the brain to produce a high. While it is not as hard on the body as substances like meth, it still has a high probability for abuse. Cocaine is a plant-based drug, like marijuana. The body can filter through it like any other natural substance; over a half hour, half of the cocaine taken into the body will have been used, limiting the time the user experiences the effects. Drug users addicted to cocaine go on binges to keep up the high. Users experience depressing lows when the drug wears off. Cocaine still has long-term effects, even though it is a lesser of a few evils among the drugs. People who use cocaine regularly have shown signs of a social disconnect with their peers. Cocaine reacts specifically with the orbitofrontal cortex, a section in the brain responsible for such things as pleasure. Due to cocaine use, addicts are less likely to feel rewards from the normal functions of life, such as social interactions. As with any drug habit, the users eventually engage in less and less social happenings until they are on their own fighting for their next fix. Loneliness and despair at their current states soon come and the user turns to the only thing that makes them feel happy: more drugs. These statements are textbook signs that there is a dependency problem. More signs include drug usage causing problems at work, in school settings, or in home life and interpersonal relationships. Unlike marijuana, cocaine is losing its popularity. Perhaps it is the aforementioned effects it has on the body and users are rushing to find another drug that requires less substance to keep up a high. Perhaps it is the fact that marijuana is legal and seen as a “safer” drug than cocaine. Perhaps it is because cocaine is not as accessible as marijuana, especially now that a few states have legalized it recreationally. Whatever the reason, cocaine is no longer the country’s most popular drug, even among the higher class. And as with every drug habit, if the person does not find help, their habits will ultimately kill them.